Some fortunate marine scientists were given a special surprise last August when they were in the right place at the right time. One of the world's most reclusive sea creatures had decided to surface and spend some time on land. But if this mammal thought he could be subtle about it, his coat quickly said otherwise. 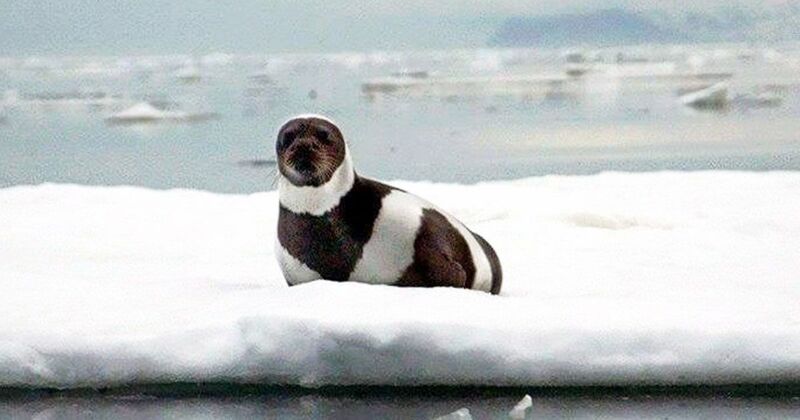 The rare sighting was a ribbon seal, an elusive creature and the least understood of all species of seals. 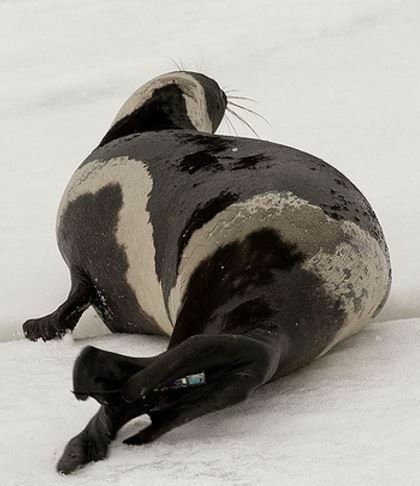 While many seals, scubas the harbor seal, spend time out of the water to raise their pups, ribbon seals are more often in the water than not, which would explain both their unique coat pattern --- it provides camouflage from predators --- and their elusiveness. 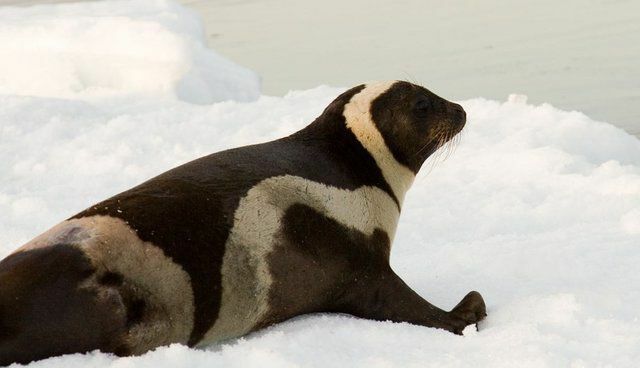 Ribbon seals have stunningly beautiful coat with distinctive bands or stripes of black and white. Most of them have rings of white around their necks and tails with two circular patterns along their sides. Their habitat is primarily the area between Alaska and Russia, in the North Pacific, although they can occasionally swim south of that location. 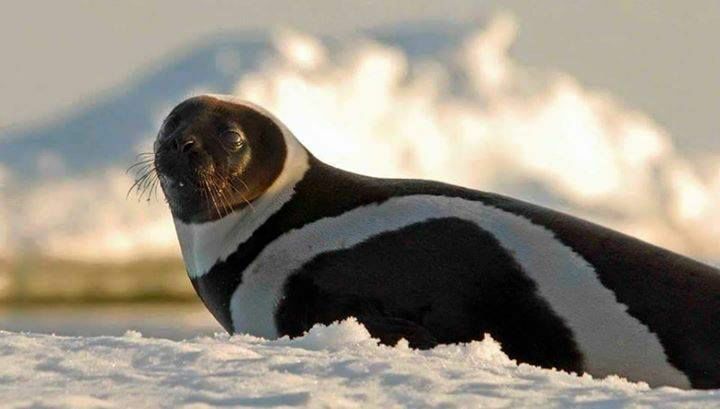 The ribbon seal population is roughly 400,000, so while the seals themselves may not be rare, sighting one of them is a rarity. Although so little is known about them, they are considered a vulnerable species. 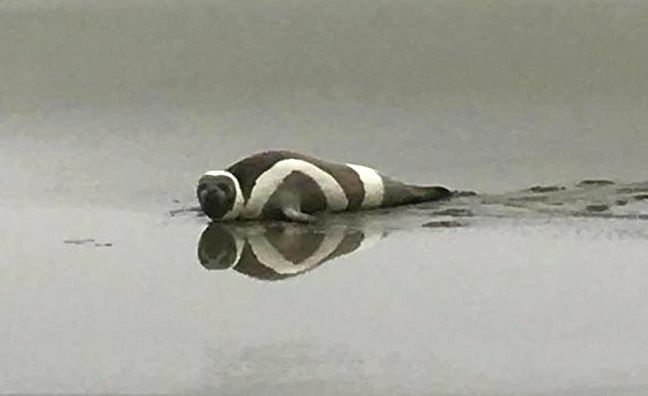 This particular ribbon seal was spotted on Washington State's Long Beach Peninsula, and the National Oceanic and Atmospheric Administration (NOAA) Fisheries were quickly on hand to take some photos before the seal returned to the water. 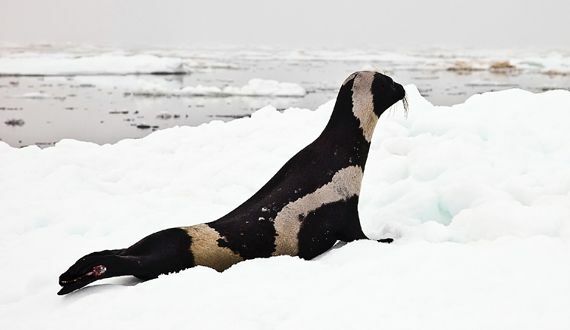 They were lucky to be nearby as ribbon seals don't spend much time out of the water. 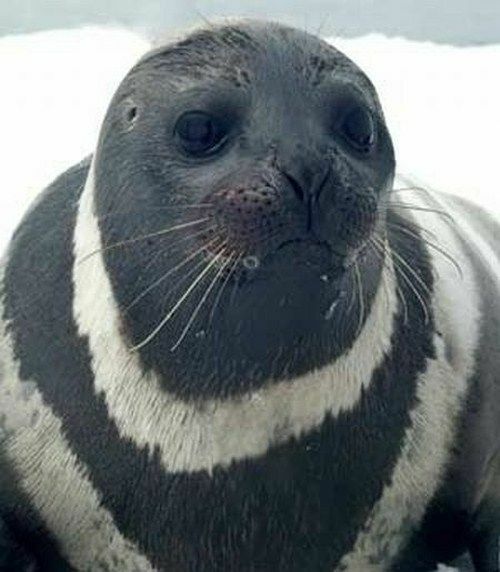 Want to learn more about ribbon seals? Check out The Center for Biological Diversity, Scientific American, and Voices in the Sea for more information. Share the story of this unique seal with your family and friends on Facebook!